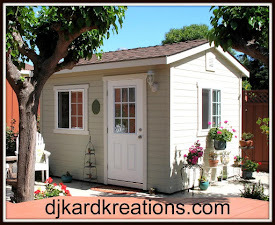 djkardkreations: Hammy's At Pixie's Playground ~ Cousin Hammie's a What?! Hammy's At Pixie's Playground ~ Cousin Hammie's a What?! We've had a wee bit of rain! It wasn't enough to completely extinguish all the fires, but it helped the firefighters tremendously which is a huge relief. I'm feeling better with the clear air and return of blue skies. I hope where you are, things are sunny, too! I am delighted to be Guest Designing for my very good friend Di over at Pixie's Crafty Workshop. Of course, Hammy wanted to be involved since he went all the way to England with me to meet a lot of the Pixie Playmates last year! Not to mention, Di has her own special critter named Parsnip and the two of them are fast friends. Isn't him so cute eating his cookie?! The NBUS hamster stamp is from the "Hammie Coffee & Tea" set by Your Next Stamp. Naturally we HAD to have this set of stamps and dies! The fun NBUS sediment is from Riley and Company. The background dotted pp is from SU and the watercolor pink paper is from Lawn Fawn. I just love it when I can stamp directly onto a piece of pp and use that schtuff up! Hammie is die cut and popped up for a little bit of dementia. If you have been friends here for a long time, you are familiar with Pixie's and it's been great to see a lot of you join in the fun at the Playground over the years. Di and her challenge regulars are a hoot! They will all make you feel welcome and half the fun is reading their comments! It's definitely a friendly place to make friends and it always feels good to use something from that scrappile! Thank you, Di, for the opportunity to be a guest designer at the Playground! And here's my twof ... wait a second. What? Are those vampire teeth?! We don't really know this branch of the family very well, thank goodness, but every family does have their little monster!! Your Next Stamp: Color Challenge. Real quick. I've seen this car driving around in our neighborhood for quite a while, but until now, I've never had the chance to catch it when it was just sitting in the person's driveway! How about that?! Hammy got quite becited, so one of these days we are going to go by and introduce ourselves! So good to hear you have some rain - we did here in Melbourne over night too. As usual I forgot what you made because I was entertained with reading the blog. But, I'm sure it was fantastic. Anyhow............I can't wait until Hammy goes to introduce himself. Just the thought of that cracks me up. Cute Hammy, love them both, thanks for sharing with us at CCCB! Good news about the rain and that you're feeling better! Your cards are adorable. It's a good likeness of Hammy. Maybe not quite as dapper, wouldn't want him to get a big head or anything!! Happy to hear the heavens have showered on Cali a bit. There's not much that's better than fresh, rain-washed air! Your cards are so fun. Somehow you are able to inject your and Hammy's personalities and sense of humor into all you do. Always fun to see. Hope the new neighbors really DO have 5 Hammys. How fun would that be? OMG you are a delight for the soul, Miss Darnell!! I love your stories so much, they warm the heart and bring a big smile to the face and a chuckle to the belly! I want to hear the story about that license plate when you all go for a visit and introduce yourselves! hee hee!! Fabulous card...the monster hammy in the pumpkins is just too darn clever for words!! You have a wonderful Sunday! And so glad the air is clearing and you are feeling better! We had pouring down rain today...like cats and dogs pouring!! A break tomorrow though...maybe a peek at the yellow ball in the sky!! So cute peeking out behind the pumpkins. Those teeth look wicked! Well well well young Hammy is getting to quite the star with his own stamps AND a limo... he had better remember who has loved and fed him all these years and given him blog exposure to get him started!! Love your cards Darnell - they are fabulous as usual, and the first one is absolutely gorgeous. How brave of you and Di to allow Hammy and Parsnip to play together again - I wonder if the port of Southampton has recovered yet from last time it happened? Gorgeous cards, that Hammy stamp is adorable. In the second card he seems to be being a bit of a vegetarian vampire! Beautiful cards with some great words to live by on the first one! Yah, Hammy has his own car. Gorgeous cards Darnell .... love the little cutie enjoying his cookie, and the little monster is just adorable, not scary at all. Your stories really bring a smile to my face Darnell..Hammy really ought to introduce himself to the owner of that fabulous looking card. Adorable cards!! It is pouring right now over here where I live. Two cute and fun cards! Love the vampire teeth on that one little critter too. He/She's a doll! I was so glad when I saw on the news that California got some rain. Congrats on your Guest Design Spot! Two fabulous cards. Rain, rain stay a while. The fires are just terrible and I can't imagine what you have been going through with all the smoke. Hope this is the beginning of the end. Cute card with Hammy's cookie and I bet Parsnip is insisting on a cookie now too. Fangs or no, this didn't make him very scary! Love both of your cards Darnell. Love those fangs on Cousin Hammie and what a great expression! Thank you for linking up and playing wtih us at Time Out. Glad the air is clearing for you Darnell, even if the fires are not completely extinguished yet, hopefully soon. I love the two gorgeous cards you've made for Di's challenge. Both these cards SCREAM, WINNER, at the top of their lungs (if they had lungs). Really love those little critters, even the one from the distaff side of the family. And the teeny little crumbs on the first card made me laugh out loud. Especially since they look so much like Hammy. You're going to have to track that car owner down, you know. He/she may have Hammy's distant relatives stashed somewhere on their premises. Congratulations on your GDT spot! Little Hammy is adorable, he looks so cute eating that cookie! And he looks equally sweet with those fangs in!! I could watch those rainny puddles forever on your blog. They are quite soothing unlike the puddles/stream/lake I spotted outside the french doors this morning whilst partaking of my morning coffee. The Doc had decided the pond outside the kitchen window (we have several but this is the pond for the frogs and the one that Norm fishes in) needed filling. He put the hose into it switched on the tap and promptly forgot about it and came inside. After bout 10 mins he said to me "I can hear running water somewwhere"? You sure could and see it too!!!!!!! Hugs Mrs A.
Congrats on your well-deserved Guest spot! I love your twofer of cards, especially the hammy with fangs sitting inside the pumpkin...too cute! And, your little guy eating the cookie with that fabulous sentiment just steals my heart :) As always, you nailed it, Darnell! I am so happy that you are getting a bit of rain. You need it. I LOVE the adorable hamster cards. The sentiment on the first one is adorable and I love the vampire teeth on the second. Looks like you have been having fun in the playhouse! Two adorable cards Darnell. So glad the skies are clearing from the smoke. We had that a lot this summer and it was so awful. So I know how you feel. Have a great day friend. So glad to hear that the rains helped with the air quality and that you are feeling much better. That is great news! And, I love your cute cards you made with that cute hamster. He sure is a darling image and I can see why that set appealed to you. Thanks for sharing all your wonderful cards and I hope you continue to feel much better. A brilliant sentiment and one to remember when skies are grey. The other Hammy is a bit scary though. It's always a delight to see your cards and to read your posts ! I'm always sure to have a smile if not a laugh when reading you ! And today is no exception ! Hammie's card and his relatives' one are fabulous ! Love how he comes out from this pumpkin ! Fabulous design and great take to our "scary" challenge ! Thanks so much for sharing and for playing along at Less is More ! Cute cards. Love the sentiment on the first card. Well done on the GDT in the playground, super card and a cute little image, cute just like Hammy. 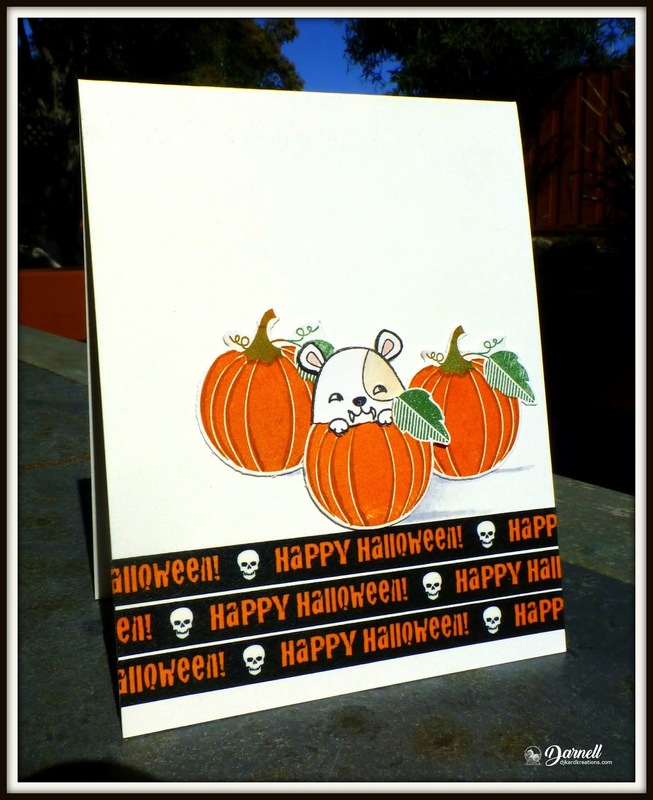 Love, love love, the Hammy pumpkin card, just fabulous. God help the owner of the car when you do go and visit, lol. You always make me laugh, Darnell! :D Such fun-tastic cards!! :D Love the first one you made for Pixie's Playground (and congrats for your very well deserved GD!) but the second one is too much fun!!! Those vampire teeth in Hammy's mouth are really soooo spooky and cool! :D Great works!! Brilliant cards Darnell! I can so see Hammy being tickled pink about being with you in the spotlight as well as that car being named after him - what fun! Thank you so much for being GD in the Playground this time. As always, you brightened up our day! How special that there's a stamp and die set made just for Hammy! He's becoming quite the celebrity isn't he? And you have some Hammy neighbors. How cool! I love vampire Hammy jumping out the the pumpkin! Adorable! Congratulations on guesting at the Playground. Hope you can keep everybody in line. Oh wait, you'll be leading the fun! Love these! Hammy is a pro! I hope Hammy's head isn't getting too big now that he has his own set of stamps. Congrats on guesting and allowing Hammy to tag along. Hi Darnell, Thanks for another hysterically funny post... and for sharing a couple of great cards, too. Have a great week! Love reading your posts! Such fun. I have just begun to follow your blog. I must say I envy you your playhouse. I have a craft room but not a whole building! Cheers. A hamster vampire?! Is that Hampsire then? Goodness it certainly is spooky! I love the card featuring Hammy's cousin. The greeting made me laugh. If you can't do that then be so happy that people want the name of your doctor. Bring on the good meds! Beautiful cards Darnell!! Hammy should be really happy to see that! I'm glad that rain cleared the air a bit. Hopefully your breathing is better. 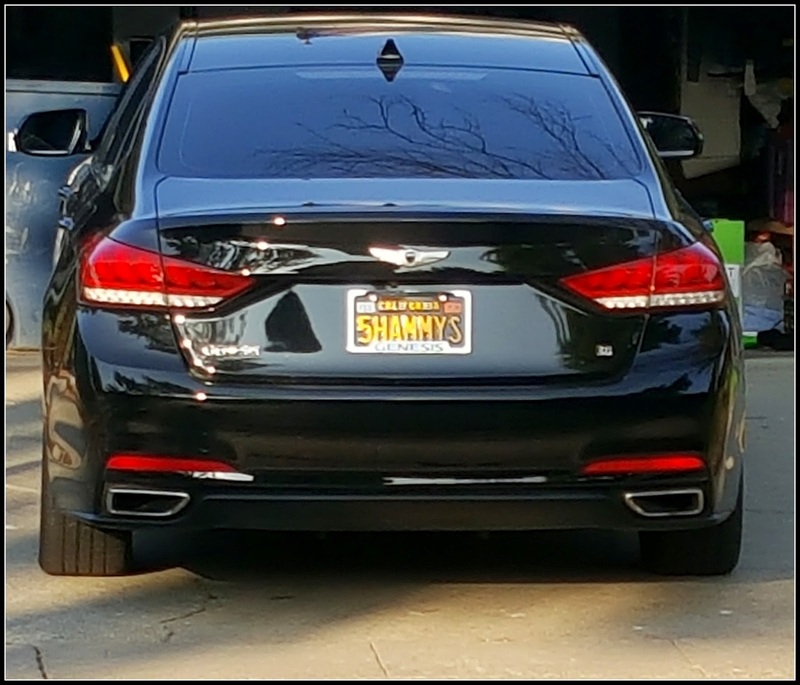 Love your cards, and so fun that you got a pic of the plate. Well of course hammy would be excited by that car! It's perfect! Love your two adorable cards and of course loving seeing you at Time Out! Fabulous cards Darnell, love Hammy and the sentiment on the first one, too cute on the second one! I'm glad that you finally got rain, even just a little. I know that some of the firefighters from here went to help. Thankfully the air cleared here from rain. Congratulations for being a guest designer! Congrats on your GD spot! Two fabulous cards there Darnell and a great post as always! Wow! What a car ... Perfect for you and Hammy I would think! Glad to hear you got some rain and if I could I'd send more of ours... Instead it will have to be a cyber hug! Love your cute first card and your spooked up second card is brilliant! The perfect stamps for you and Hammy! Fabulous cards! Looking forward to seeing more (as is Hammy, I'm sure!). Rain??? Hey just a bit is good, we are so hot, dry and windy here that I am afraid if I sneeze I might start a fire. 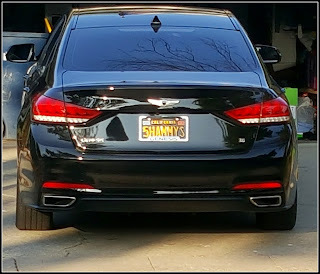 loved the hammy license plate how fun is that! Darling cards Darnell, love the happy card and beautiful pumpkin card! Hugs and love to you. The Hammy images are so adorable. Hope the air is clear again. The heat has been unbelievable here, so glad we have AC. I owe you a lengthy letter. Great to hear that it is looking and feeling more normal at your end of the world! Cute cards and post! 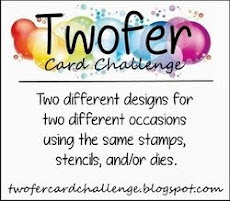 I love to play at Di's challenge...seems I have a snippet on every card I make....LOL! Lovely to see you and your fab sentiment in the Playground GD spot. Cute halloween card too. Now a Hamster with a car.......... seen it all now! Really love your adorable Halloween card you entered at Time Out. Such a fun way to do the sentiment. Thanks so much for playing along at Time Out. Two super cards Darnell, I love the first one, such a cute image and wonderful sentiment. Congrats on guest designing over at the playground with two fun cards! That polka dotted paper is so sweet! 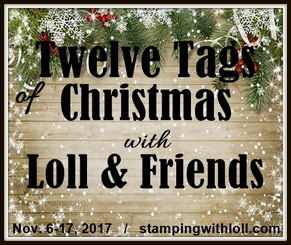 What a great idea to stamp directly on it - I'll have to remember that! And Hammy's cousin peeking out from the pumpkin is probably (hopefully) just dressed up for Halloween! Great cards! Sorry to be so late visiting your blog this week, I have no excuse! Love your Hammy and monster makes and ... what about that TAG plate? Did you tell the owner about Hammy? You always put a big smile to my face, Darnell. Reading your post and seeing your fabulous cards. That little vampire hammy is just too cute. Happy to hear the air is clearing some and you are feeling better. My thoughts and prayers continue for all affected by the fires. Hi Darnell! 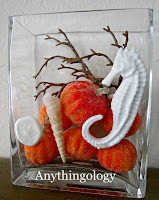 A delight to visit your blog as always, loved to read this post! 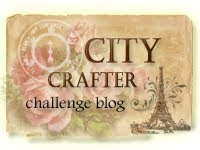 I'm in fact not familiar with Pixie's snippets challenge and will definitely check it out now! The new hamster stamps look so cute. Your card for LIM: Love it!! The repetitive sentiment strips and your pumpkins and little vampire monster look amazing -great colors and fantastic layout! Thanks for joining us at Less Is More! The license plate is too funny! So glad the fires are getting under control & that you can breathe clean air again, Darnell. It's gorgeous here right now, but guess we missed a big storm while we were in the east. 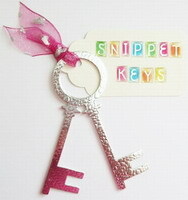 Love your snippets card--perfect for the great GD that you are! 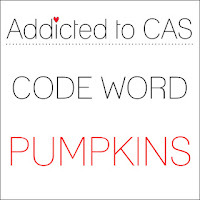 Absolutely darling Halloween card--just what I like! 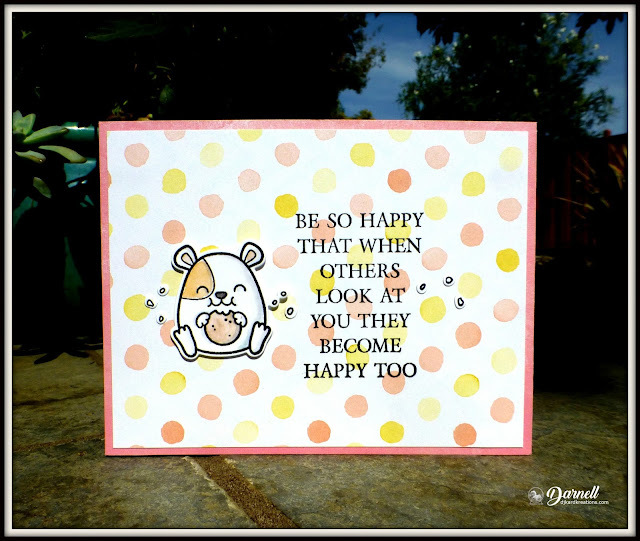 Your Hammy cards are so cute and such fun! The car cracks me up. I just hope Hammy doesn't decide to hop behind the wheel - LOL! Hammy and you have done it again. Less is More loved your card as much as I did. Congratulations. Congrats - love your card - those teeth! Adorable! Congrats on your shout out at LIM! It's me finally. I have been a very neglectful blog chum and hope you forgive me. You know it's bad when Im commenting on a Halloween card at the end of November lol! Two brilliant cards, as always and are you sure that's not Hammy's passionwagon he's not told you about lol?